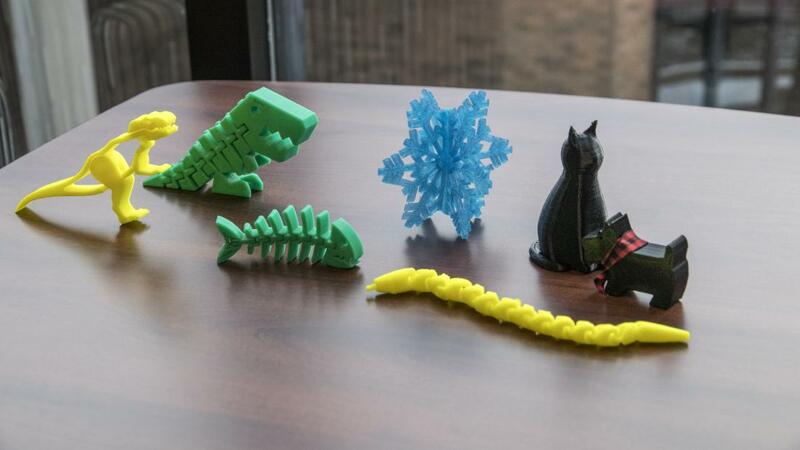 The assortment of plastic toys on the Library front desk were printed with our XYZ da Vinci 3D printer. Models for these toys were downloaded from thingiverse.com and printed in ABS plastic. In addition to fun objects, we have printed heart and spine sections, clamps, and other medically related items. We have also printed models from the NIH 3D Print Exchange and are looking for more objects to print! If you have a printable model (as an .stl file) that you would like us to print, contact: reference@siumed.edu. Developed resources reported on this internet site are supported by the National Library of Medicine (NLM), National Institutes of Health (NIH) under cooperative agreement number 1UG4LM012346. The content is solely the responsibility of the authors and does not necessarily represent the official views of the National Institutes of Health.